Some days I wonder should I go back to work. Believe it or not but looking after 3 kids all day is a hard job, I think maybe going to work all day would be easier. Chatting to people and being called Jade rather than MAMMY!! Then I think Jesus nah woman you’re wrecked enough never mind getting up early to head out the door, pack the kids and stand at a shop all day dreaming of home time. Only to come and do it all anyway. Then I began to think, is any one ever really happy? Don’t get me wrong, I am super-duper happy but don’t ya always wonder if the grass is greener? Maybe working mum’s think I’d be better of at home, where the stay at home mum thinks should I go out to work! It would be nice to have an extra income into the house sure but then who’s gonna look after the kids? A crèche? I am by no means qualified for a job with a huge income, so I would be working for the minimum wage. Half of that would be used for child minding, which would mean I’d be working for half the minimum wage and exhausted. Get me. So maybe I will wait until little Darcy goes to playschool. Not that long really she’s nearly one and time is flipping flying. I’ll just continue writing my blog, good job I love it, as it wouldn’t put the dinner on the table lol maybe one day when I get my book written. Got me thinking though, working or not, mammy’s are warriors! Every mother, father or carer looking after kid’s need a high-five! As it’s by far the most demanding, selfless, over worked and underpaid job in the world. It’s a job done without hesitation, it is hard work, but it’s a job with priceless rewards. Every day you are giving a new challenge but when you have happy, healthy kid’s its worth everything single second you spend doing it. Apart when you have a self-inflicted hangover! I have compiled a little list of only a few of the amazing things mammy’s do. There is no other way to say it, but quite literally everything. From wiping dirty counters to dirty arses! We do it all. Run the house, pays the bills, sorts out the insurances, taxes, you name it mammy does it or can do it. I wish this meant in River Island but unfortunately I mean Aldi or SUPERVALUE. Every week, or even every day. Trolley, pay for it, Bag it, pack it in the car & unpack at home. Funny though, there is never anything to eat. You need to feed the cavalry. Breakfast, lunch & dinner if they are lucky. Snacks and drinks in between. “I’m hungry” or as Darcy says “waaahhhh”. Constantly cleaning up after the messy little buggers. Every flipping day my house resembles a war zone. I clean it, they wreck it. They land in from the street mucked to the eyeballs, but ye know what they say A dirty wane is a happy wane. Mines are ecstatic. Sweet mother of mercy I feel like I do work! In a Chinese launderette. Since the 3rd child arrived, I have been non-stop day in, day out washing, drying & folding clothes. What the heck do they actually be doing to get so dirty. Oh yeah we live on a farm. Keep the kid’s entertained! Trust me this is an energy killer all together especially on a bad weather day. Trips to the park, the swimming pool or even a game of hide and seek just zap’s the energy out ye altogether. Yup mammy’s on call to tend to every little cut, bruise and scrape. Temperature watch over night and make sure the medicine is stocked up in case of emergency. Just call mammy. To football, home from football. Dancing and back. Friends and back. School runs of course. Some days I feel like driving and not coming back. I have two big one’s but it can be any number of kids. Be it boys or girls when they have toys or tablets, all you hear is “mammy, MAMMY” “its mine” “it’s my turn” “He/She hit me” hahaha the list goes on and on. However hard it is, however tired I get, I go to bed every night and I thank God for the little rascals. Thank god for their health and happiness and for our own health to continue to watch them grow. Even though some days I feel like screaming I don’t. It won’t be long until they don’t want cuddles from mammy and I’ll no longer need to wipe their snotty noses or kiss their sore knees. It won’t be long until they to have their very own life and I’m back to finding a new hobby. So for now I’ll just continue being all the above and shower my precious little children with love. 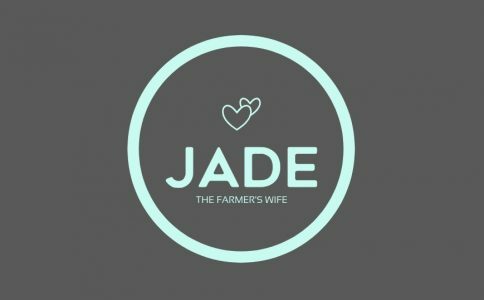 mother’s are the heart of the home .well write jadethefarmerswife. you’ll write your book someday .it’s there in the making for you .